Municipal Judge Ronald J. Brockmeyer in Ferguson, Missouri, resigned Monday after the state's Supreme Court announced that it would take the "extraordinary action" of reassigning all cases to the circuit court following the Department of Justice's report last week that cited the judge's abusive practices. As of Monday, all municipal cases have been assigned to a state appeals court judge. The DOJ's report revealed last week that Ferguson officials were using the police department and court system to generate revenue. "Brockmeyer was among the officials who received particular scrutiny for practices like fixing traffic tickets for colleagues and himself, punishing defendants who challenged him, and instituting new fees, many of which were 'widely considered abusive and may be unlawful,' the DOJ said in its report, according to The New York Times. "The Municipal Court does not act as a neutral arbiter of the law or a check on unlawful police conduct," the report continued. "Instead, the court primarily uses its judicial authority as the means to compel the payment of fines and fees that advance the city's financial interests." The Missouri Supreme Court said that its decision was made "to help restore public trust and confidence in the Ferguson municipal court division." "I don't believe the report was correct," Brockmeyer told the St. Louis Post-Dispatch Monday night, "but it's not worth fighting." Brockmeyer also revealed that he had received death threats after the Department of Justice report was released. "That's one of the most important reasons — it's not worth jeopardizing my family." The judge's attorney, Bert Fulk, said in a statement: "Brockmeyer believes that it's paramount to begin immediately on promoting the public's confidence in the Ferguson Municipal Court. Promoting the public confidence in the Ferguson Municipal Court will help Ferguson begin its healing process." Judge Roy L. Richter will take over Ferguson's cases and carry out "needed reforms to court policies and procedures in Ferguson to ensure that the rights of defendants are respected and to help restore the integrity of the system," the press release stated. "Richter will bring a fresh, disinterested perspective to this court's practices, and he is able and willing to implement needed reforms." 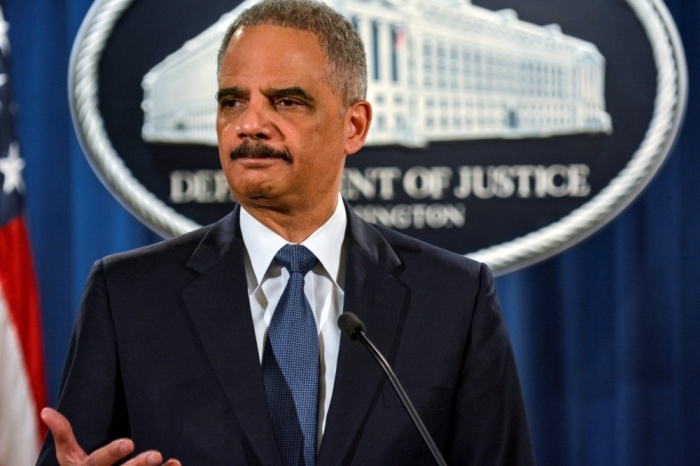 In the wake of the DOJ report, several changes were made, and many more could be coming. One police official and two officers were fired in connection with the findings. The three were found to have sent racist jokes in official city emails. "Given the gravity of the report, it's safe to say everything is on the table," Ferguson spokesman Jeff Small told the Post-Dispatch. Missouri Gov. Jay Nixon called the decision a "solid step forward" and promised to "continue to work with the Missouri Supreme Court and the legislature to ensure all municipal courts operate in the fair, transparent and accountable manner Missourians expect and deserve." Not only is Ferguson making changes, but Chief Justice Mary R. Russell said that "the court also is examining reforms that are needed on a statewide basis."